I mentioned August was a tough month...lots of bad and sad things. This story is one of the really sad ones, really haven't been able to write it without crying for the last few months. A bit of backstory is necessary, 6 years ago I was retired out of my job and I'm not really one to sit around. Was trying to figure out what to do...I loved animals, especially dogs, so why not a pet sitter. I did my homework on all of it, contracts, pricing, etc. My great friend Becky let me take care of her babies...I loved it and starting promoting myself. 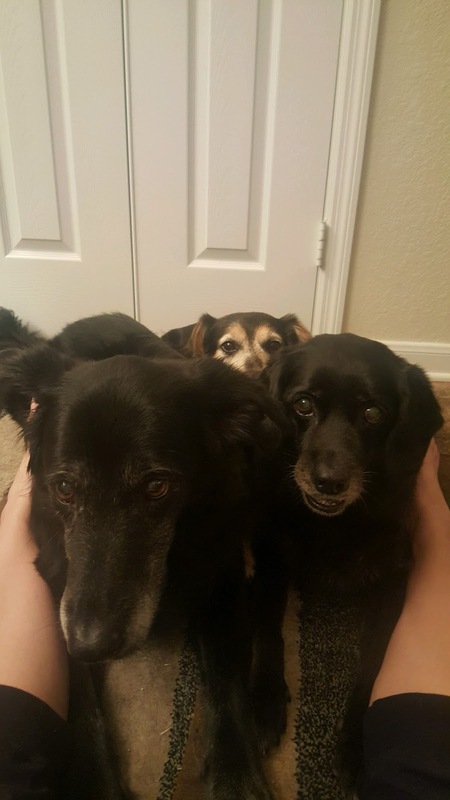 Six years ago I got a call from a lady through care.com, wanted me to take care of her three babies. It was my first real job and I jumped at the chance. I met the three great girls, Brandi, Lola and Lucy and I was there for them for the next six years!!! Three sweet girls....Brandi, Lola and Lucy in the back!!! For the first three or four years we had so many good times.....we walked miles a day and played outside when we weren't walking. I will tell you the girls were not young when I started....Lola 9 1/2, Brandi 9 and Lucy around 7. When you are with dogs for so many years it's hard to see them slowing down. I guess the last two years were when it got so noticeable. 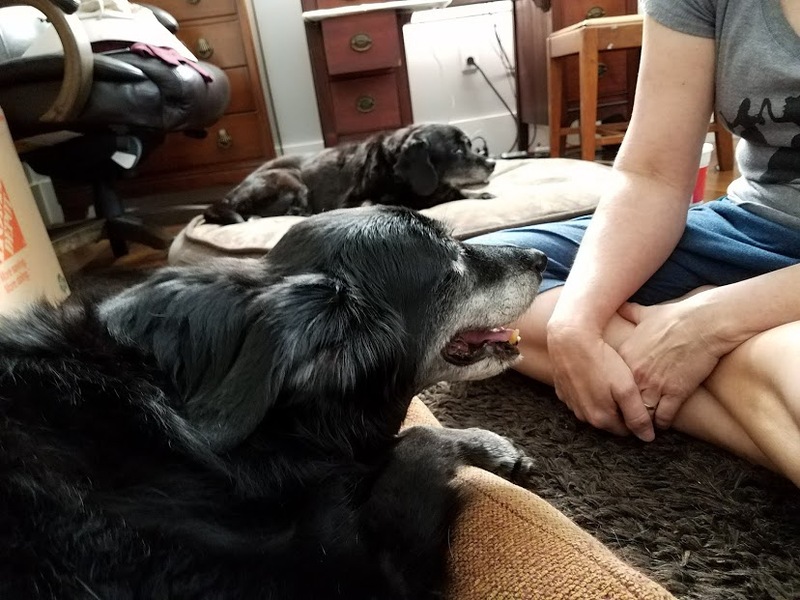 Brandi's arthritis got so bad she was having a hard time doing our walks and Lola was having a myriad of health problems....but we just kept moving along...until this year. Brandi had developed problems in her mouth, cancer, they were to discover then a few months later Lola too. By August both the girls were very sick and the decision was to put them down to save them from anymore suffering. It was also decided they would go the same day since they were as close as if they had been sisters. They would have a hard time without the other. 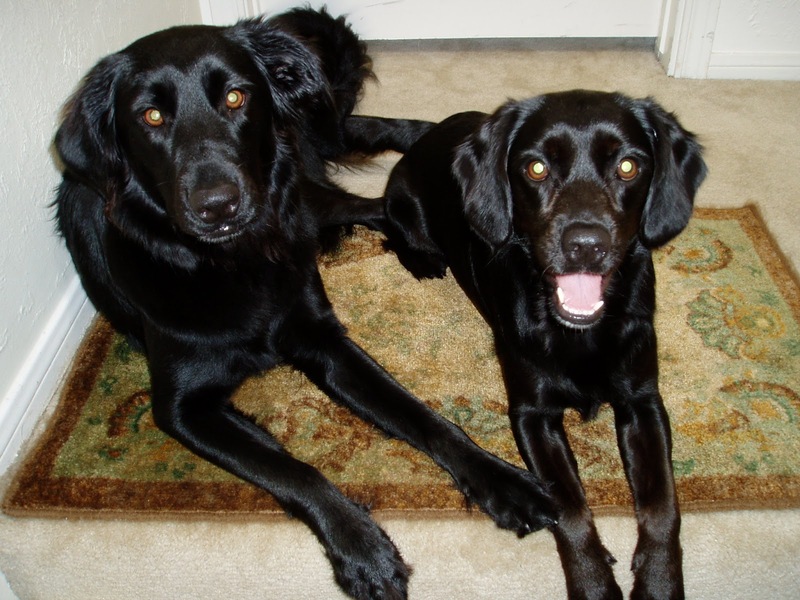 Brandi and Lola in younger years....long before I met them.